The March sisters encounter new friends, challenges, school dances, and more in this fresh, modern retelling of the perennial classic, Little Women. Thirteen-year-old Meg March and her sisters Jo (twelve), Beth (ten), and Amy (nine) are a close-knit group who share in one another’s hopes and dreams, as well as struggles and frustrations. Over the course of one year they get to know their neighbors the Lawrences, attend school dances and sleepovers, have first crushes, and grow closer as sisters, despite their differences. This sweet, contemporary take on part one of the beloved novel Little Women is the perfect introduction for young readers to the March family. 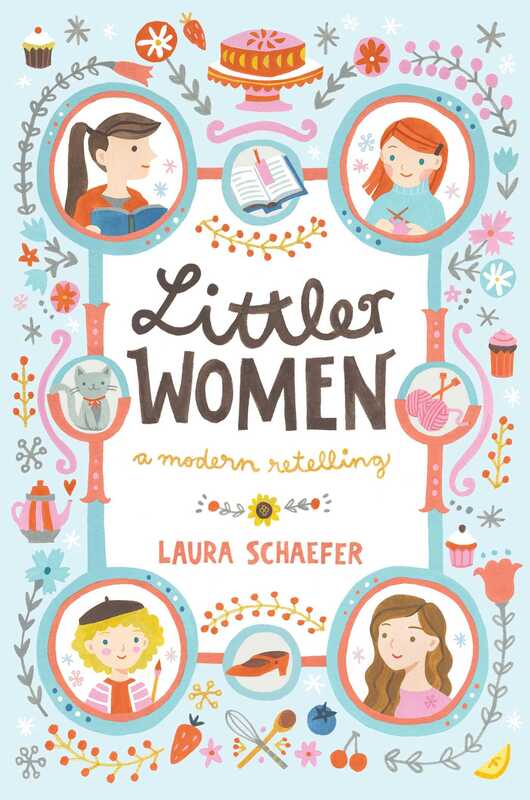 With a craft project or recipe at the end of every chapter, Littler Women is sure to become a cherished favorite. “Christmas is usually my favorite time, but I think I just want it to be over with this year,” said Meg, sighing a gigantic sigh and adjusting the colorful striped skirt she was holding on her lap. It had never fit the way it should, so she was attempting to turn it into a throw pillow cover. The project wasn’t going very well. “It’s totally unfair, everyone I know is making fun plans with their families and we don’t get to,” said Amy, who was drawing in her sketchbook and feeling sorry for herself. At Beth’s words, all four girls managed to look a little bit less glum. Though the mood in the room was subdued, it was impossible to stay crabby for long in such a cozy scene. The March house, which had been in the family for three generations, was large and full of interesting details large and small, with nooks and crannies everywhere you looked. The shelves in each room practically overflowed with books and collectibles. The fire in the fireplace had been burning for two hours, which meant it was now turning to embers that warmed each young sister right down to her belly. A few gentle snow flurries swirled around in the twilight beyond the thick-curtained windows, and three candles burned on the mantel. They were scented like apple cider, the perfect complement to the refreshing, earthy smell of the real Christmas tree, which had been lovingly decorated in the corner, and the clusters of fragrant boughs adorning the center of the dining room table and the top of every door frame. Despite the pretty decorations and nice holiday aromas, Jo was still feeling a lot less cheerful than she usually did during the Christmas season. “He won’t be home before we know it,” Jo said, allowing herself a moody sob. “He won’t be home for almost a year!” All four girls thought of their father, trying to picture what he might be experiencing at that very moment. Mr. March was in the U.S. National Guard and was serving a tour of duty overseas. It had been very hard to say good-bye to him, and now it was even worse being apart. No one said anything for a few minutes. A few days earlier, Mom had explained to the girls that there would be fewer Christmas gifts than normal this year, as the family needed to “tighten its belt” a little and use what extra money they did have on care packages for Dad. Jo was a bookworm, and Mom and Dad were usually very generous with novels for their second-oldest daughter, particularly at Christmas or when she had a birthday. But this year was different, and Jo was having a hard time getting used to the idea that she may need to wait an extra month or two before getting her hands on the newest books. It made her cranky. Meg nodded, thinking about the new outfits she’d love to open up on Christmas morning, if only Santa would bring them to her. Meg was a pretty girl of thirteen, with soft, wavy light brown hair that she liked to wear long and loose. She had big brown eyes and a quiet, motherly nature that was only occasionally a little bossy. But who could blame her? As the eldest of four girls, Meg believed it was her job to set a good example and try to keep her sisters in line. She liked fashion and flower gardens and singing in choir at school, where she was in eighth grade. Beth was in fifth grade, but if she had it her way, she’d stay home all day to play with her kitten, practice piano, and bake cookies. Most content when she was with her family, Beth was shy and peaceful. Her smooth auburn hair was generally tucked behind her ear with a simple black barrette, and her bright eyes and rosy cheeks looked content and happy without fail. Though she was too timid and quiet to have many friends, everyone who knew Beth loved her and wanted to protect her. Amy was, in many ways, Beth’s opposite. Yellow haired, blue eyed, and naturally effervescent, she was only nine but somehow managed to seem older. Amy was the most important person in the room—according to Amy—and planned to grow up and become a famous artist. She was very popular in her fourth-grade class and smarter than she let on. Fascinated by Paris and New York and other big, exciting cities, Amy was trying to teach herself French because she thought it made her seem more sophisticated. Mom liked to call Amy a handful, but couldn’t conceal the twinkle in her eye when she reminded her youngest daughter to be a little humbler once in a while. Beth patted her younger sister’s leg in understanding and murmured that she’d like some new sheet music to practice. But then the large grandfather clock in the corner of the living room caught her eye. It was almost six, which meant that Mom would be home any minute. She worked each day as the director of the community center in their small New England town. It was hard work, with long hours and low pay, but Mrs. March was devoted to it with her whole heart. The girls admired their energetic mother for all she did for people in need, even if they didn’t always remember to tell her so. Beth moved Mom’s slippers closer to the fire so they’d be warm for her when she arrived home. Jo set down her book and scrambled out of her overstuffed chair to poke at the fire in an effort to coax a little more heat out of it. She looked at the worn slippers and said, “Eesh, Mom could really use a new pair of these. Maybe I’ll see if I can find a pair tomorrow.” Jo was a little embarrassed she hadn’t gotten Mom a Christmas gift yet, even though Aunt Em, who was very rich, had given each sister a little Christmas money to spend as she liked. Jo felt relieved there was still a little time to shop. “I wanted to get Mom new slippers!” Beth said. All four girls glared at one another, but then started giggling when Jo stuck out her tongue. Encouraged by her audience, she began making sillier and sillier faces. Amy threw a pillow at her and the giggling started anew. “Hey!” Meg shouted. “No pillow fights in here. You’ll burn the house down!” She pointed to the open fireplace and snatched up all the throw pillows and sat on them. Then she fell over. “I’ll go to the mall and pick out some perfume,” Amy said, her eyes dancing at the idea of a trip to the mall, even on Christmas Eve. Jo shuddered at the thought. “It’s settled, then,” Meg said. Each sister felt 100 percent better than she had a few minutes ago, when they’d been thinking of Dad and of all the gifts they wouldn’t be opening in two days. It didn’t hurt that Hannah, a longtime friend of Mrs. March, had moved in several weeks ago to help Mom take care of the girls in Dad’s absence. For many years, Hannah had run the kitchen at a large bed-and-breakfast in Maine. The place had recently been purchased by a developer and turned into condos, so Hannah was between jobs. She had offered to stay with the Marches for the duration of Mr. March’s deployment while she contemplated her next move. Mrs. March had almost wept when Hannah had suggested the arrangement, and everyone in the family was thrilled she was around. 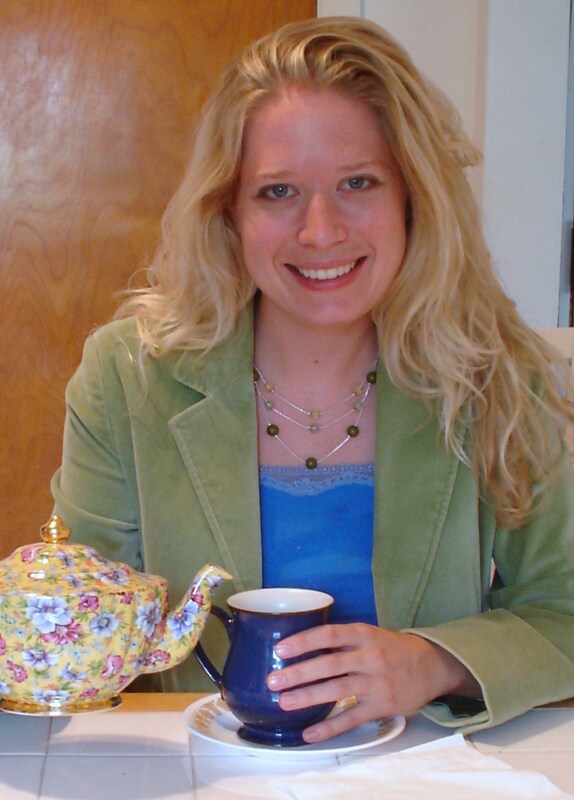 Since Mrs. March worked a lot, Hannah had taken over the cooking, cleaning, and other household details. She was a no-nonsense person who wasn’t impressed by much, but her kind heart and her love for all the March sisters was plain. Hannah was in the kitchen preparing beef stroganoff for dinner; it smelled scrumptious. Christmas was a mere two days away. Mrs. March swept into the foyer along with a swirl of cold air and snow. She was happy to see her girls all together, enjoying each other’s company and the cozy fire. Mom’s mind was always going a mile a minute as she had an endless list of people depending on her. But somehow she managed to give each of her daughters her full attention in the midst of all the chaos, and they loved her for it. Meg brought Mom a fresh cup of chamomile tea and each sister chattered away about her day and her plans for Christmas break from school. “Let’s read it now! I can’t wait,” Jo cried. The family did get to video-chat with Dad occasionally, but new e-mails were still special. Mr. March preferred to write long, thoughtful notes twice per week instead of just a line here or there, so his messages were always interesting. Jo definitely got her writerly talents from Dad. My days are very different now than they were at home, but nevertheless quite interesting and worthwhile. We are doing good work here, and I am proud of our efforts and of our progress. Still, I can’t help but think of home every other minute. I wonder if the snow has covered everything and how the light looks when the day draws to a close. I wonder how you are all doing, what you are learning, and what you are thinking about. I want to give you all my love and my hugs, girls, and tell you that I find so much comfort in your funny letters, messages, and care packages. A year seems like a very long time to wait before we are together again, but the good news is that while we wait we all have important jobs to do. The time will fly by and the days will not be wasted. I know you ladies will be loving daughters to your mother and good friends to one another. You’ll make good choices, greet the days with energy and hope, and have a wonderful New Year. I trust that you will all grow smarter and kinder in my absence, so that when I come back I will be astounded and impressed by the little women you’re all becoming. There wasn’t a dry eye in the room when Mom finished reading. Even Jo wiped a giant tear from her nose and sniffed loudly. “I promise to try to make Dad proud,” she whispered, vowing she’d do a better job controlling her temper, helping Mom, and cleaning up after herself. Beth didn’t say anything, but began knitting faster, determined to finish a scarf for the community center donation box before New Year’s Day. Amy and Meg nodded, thinking of their own ways to impress their father. With a new sense of purpose, all the girls sat down to a delicious dinner. After everyone had finished eating and worked together to clear the table and wash the dishes, the girls wandered over to the piano and asked Beth to play for them. She obligingly filled the room with a beautiful, melancholy rendition of “Have Yourself a Merry Little Christmas.” Each sister chimed in singing when she remembered the words, and Mom filled in the gaps with her clear soprano. Even though they were young and prone to embarrassment, the March sisters knew they would never be too old to listen to their mother sing to them. Always ask a parent or guardian before starting a new craft project. There are lots of helpful, free videos and instructions online to learn how to cast on and make knit and purl stitches. If there is a local yarn store near you, the employees are often happy to help beginners. For your first few projects, choose a light-colored yarn—it will be easier to see the stitches. Don’t be afraid to pull out stitches and start again if you make a mistake. It happens to everyone! Stitch markers can be helpful to remind you when to switch the type of stitch you are making in a pattern. Gauge is a measurement of how large the stitches you are making are. It is helpful for things like socks and sweaters, to make sure your piece will turn out the right size. For something like a pot holder, it’s not so important. But it’s always good to practice measuring it! Cast on 30 stitches loosely. Row 1: Purl 30 stitches. Row 2: Knit 30 stitches. Row 3: Purl 30 stitches. Row 4: Knit 30 stitches. Row 5: Purl 3 stitches (place 1 marker here if you’re using them), knit 24 stitches, (place one marker here if you’re using them), purl 3 stitches. Row 6: Knit 3 stitches (slip your marker from one needle to the other if you’re using them), purl 24 (slip marker), knit 3. Alternate rows 5 and 6 until the piece measures 5.5 inches long down from your needles. End by completing a repetition of row 6. Then repeat rows 1–3. Last, cast off all stitches knitwise. To make your pot holder lie flat, get it wet (damp is fine; it doesn’t need to be sopping) and lay it flat on the floor sandwiched between two kitchen towels. Make sure all of the edges are flat. Layer some heavy books on top of the towel to press the pot holder flat. Leave the books there overnight while the potholder dries. Once dry, it should stop curling up at the edges.